One day, Keith was reading a book about the Catholic Church. He came flying into the Kitchen looking very upset. "Mel, can you imagine this? Catholics are really devoted to Jesus - right? They build big churches, with beautiful statures and everything. But this book claims that some of them don't realize they can really know Jesus. Imagine – loving Jesus, but having no assurance of heaven." Only those who cannot handle the uncompromising pursuit of truth will have a problem with "The Catholic Chronicles". They are factual, balanced and worthy of consideration as the Protestant/Catholic difference perseveres. However, as directed by Melody Green, the Last Days Ministries publication of "The Catholic Chronicles" was discontinued in the early 1980's. So in an effort to confront error and uphold the truth without compromise, the following are "The Catholic Chronicles" as first published by Keith Green at his Last Days Ministries. Now, you might be wondering why I'm taking so much time and effort to explain something as harmless as the ceremony known around the world as communion. You've probably taken part in a communion service. So why make all this fuss about bread and wine? Why? Because that's where the similarity between evangelical communion services and the Roman Catholic Mass ends - at the bread and the wine! CANON VI - "If anyone shall say that Christ, the only begotten Son of God, is not to be adored in the holy sacrament of the Eucharist, even with the open worship of Latria, and therefore not to be venerated with any peculiar festal celebrity, not to be solemnly carried about in processions according to the praiseworthy and universal rites and customs of the Holy Church, and that He is not to be publicly set before the people to be adored, and that His adorers are idolators - let him be accursed!" The teaching of transubstantiation does not date back to the Last Supper as most Catholics suppose. It was a controversial topic for many centuries before officially becoming an article of faith (which means that it is essential to salvation according to Rome). The idea of a physical presence was vaguely held by some, such as Ambrose, but it was not until 831 A.D. that Paschasius Radbertus, a Benedictine Monk, published a treatise openly advocating the doctrine. Even then, for almost another four centuries, theological was war waged over this teaching by bishops and people alike, until at the Fourth Lateran Council in 1215 A.D., it was officially defined and canonized as a dogma (a teaching or doctrine that can never be reversed or repealed. It is equal in authority to the Bible.) by Pope Innocent III. Catholics base their whole religious system on their interpretation of these two verses. They adamantly teach that right here, Jesus is pronouncing the first priestly blessing that mysteriously changes the bread and wine into His body and blood. The absolute folly of such a conclusion is proved by this one observation: He was literally still there before, during, and after they had partaken of the bread and the cup! He was not changed into some liquid and bread - His flesh was still on His bones, and His blood still in His veins. He had not vanished away to reappear in the form of a piece of bread or a cup of wine! 3. "If anyone shall say that the sacrifice of the Mass is only of praise and thanksgiving, or a bare commemoration of the sacrifice performed on the cross, but not propitiatory; or that it is of benefit only to the person who takes it, and ought not to be offered for the living and the dead for sins, punishments, satisfactions, and other necessities, let him be accursed." But here, in the words of a Roman Catholic priest, is the "true meaning" of the words "it is finished!" "These words do not declare that His sacrifice was finished, but that He had finished His former, normal, earthly life and was now fixed in the state of a victim...He then began His everlasting career as the perpetual sacrifice of the new law." (15) Hence, according to Rome, Jesus must be forever "perpetually" dying for sin. The epistle to the Hebrews speaks of the "once for all" sacrifice of Christ on the cross, not a daily sacrifice on altars. This explains the great adulation and honor heaped upon the Roman priest. The French Catholic Saint J.M.B. Vianney said that "Where there is no priest there is no sacrifice, and where there is no sacrifice there is no religion...without the priest the death and passion of our Lord would be of no avail to us... see the power of the priest! By one word from his lips, he changes a piece of bread into a God! A greater feat than the creation of a world." He also said, "If I were to meet a priest and an angel, I would salute the priest before saluting the angel. The angel is a friend of God, but the priest holds the place of God...next to God Himself, the priest is everything!" What humiliation for Jesus Christ, the One who has been given a name "above all other names!" Not only does Paul warn that an authentic angel from heaven should not be heeded while preaching "different doctrine," but he gives the ultimate warning - "...even though we!" Paul strictly warned the Galatians, not even to listen to him - the chief apostle and master of true doctrine - if he should reverse himself on any of the fundamental teachings of the gospel. How much more then, should we reject the appalling traditions and practices of a system that is not only unbiblical, but is actually steeped in mysticism, bordering dangerously on the occult! 3] "It is appointed unto men once to die, but after this the judgment" (Heb. 9:27). 18] The Documents of Vatican II, Abbot, S.J. "...the free gift of God is eternal life in Jesus Christ our Lord! "- Rom. 6:23. How blessed it is to know Jesus! His love, His mercy, His righteousness, His forgiveness! He has promised to "cast all our sins into the depths of the sea" (Mic. 7:19) and to separate us from our sins "as far as the east is from the west!" (Ps. 103:12). This is the good news! (That's the literal meaning of the word "gospel" - good news!) That is what the true church of our God has the privilege of proclaiming..."liberty to the captives!!"(Lk. 4:18). Before we can understand what Catholics are taught about salvation, we must first see what they are taught they need to be saved from. In Matthew 1, the angel of the Lord speaks to Joseph in a dream about his bethrothed, Mary, saying "she will bear a Son, and you shall call His name Jesus, for it is He who will save His people from their sins" (vs. 21). Today, many evangelicals toss around the term "saved" without much thought. "When did you get saved?" someone might ask. It's almost like a title, or a badge that a person wears to prove that he's become part of the club - the "saved" club. Others are under the impression that when a person talks of being "saved", they are talking about being saved from many different things - sickness, death, the devil, hell, etc. But when the angel of the Lord used that precious word to prophesy that Jesus would fulfill all the predictions of the prophets, he made very clear what Jesus was coming to save His people from...their sins! The Bible makes no distinction between mortal and venial sins. There is in fact, no such thing as a venial sin. ALL SIN IS MORTAL! It is true that some sins are worse than others, but it is also true that all sins if not forgiven bring death to the soul. The Bible simply says: "The wages of sin is death" (Rom. 6:23). And Ezekial says: "The soul that sinneth, it shall die" (18:4). The priest forgives the guilt of mortal sins which save the penitent from going to hell, but he cannot remit the penalty due for those sins, and so the penitent must atone for them by performance of good works which he prescribes. The penitent may be, and usually is, interrogated by the priest so that he or she may make a full and proper confession. Stress is placed on the fact that any sin not confessed is not forgiven, any mortal sin not confessed in detail is not forgiven, and that the omission of even one sin (mortal) may invalidate the whole confession. Every loyal Roman Catholic is required under pain of mortal sin to go to confession at least once a year, although monthly confession is said to be more satisfactory. But even after a penitent has received pardon, a large, but unknown amount of punishment remains to be suffered in purgatory." (8) The doctrine of purgatory rests on the assumption that, while God forgives sin, His justice nevertheless demands that the sinner must suffer the full punishment due to him for his sin before he will be allowed to enter heaven. Technically, venial sins need not be confessed since they are comparatively light and can be canceled by good works, prayers, extreme unction, (9) etc., but the terms are quite elastic and permit considerable leeway on the part of the priest. It is generally advised that it is safer to confess supposed venial sins also since the priest alone is able to judge accurately which are mortal and which are venial. The Baltimore Catechism says: "When we have committed no mortal sins since our last confession, we should confess our venial sins or some sin told in a previous confession for which we are again sorry, in order that the priest may give us absolution. (10) What chance has a poor sinner against such a system as that? Jesus was telling His followers that by preaching the gospel, they were being given the power to declare that a person's sins were forgiven them by God! And if an individual, or group did not receive them and the forgiveness they offered in the name of Jesus, than they were instructed to "shake the dust off their feet" as a protest against them, and warn them that it would be more tolerable for Sodom and Gomorrah in the day of judgment than for them (Matt. 10:14-15). In other words, if a person rejected the apostles' preaching of the gospel, they had the right to tell that person that his sins were not forgiven, because they had rejected God's only provision for atonement of sins. "The one who listens to you listens to Me, and the one who rejects you rejects Me" (Luke 10:16). This power to forgive and retain sins, contrary to Rome's teaching, belongs to everyone who preaches the true gospel of salvation. Good works, of course, are pleasing to God and they have an important and necessary place in the life of the Christian. They naturally follow if one has true faith, and they are performed out of love and gratitude to God for the great salvation that He has bestowed. Good works, in other words, are not the cause and basis of salvation, but rather the fruits and proof of salvation - "Not by works done in righteousness which we did ourselves, but according to His mercy He saved us through the washing of regeneration and the renewing of the Holy Spirit" (Titus 3:5). The born-again Christian produces good works as naturally as the grapevine produces grapes. They are a part of his very nature. He performs them not to get saved, but because he is saved. Grace, just because it is grace, is not given on the basis of proceeding merits. By no stretch of the imagination can a man's good works in this life be considered a just equivalent for the blessings of eternal life. But all men because of pride, naturally feel that they should earn their salvation, and a system which makes some provision in that regard readily appeals to them. But Paul lays the axe to such reasoning when he says: "If a law had been given which was able to impart life, then righteousness would indeed have been based on law" (Gal. 3:21). Time and again the Scriptures repeat that salvation is of grace, as if anticipating the difficulty that men would have in accepting the fact that they would not be able to earn it. The modern church teachings completely concur: "Many things are necessary for salvation. All these things work together - faith, baptism, the Eucharist, the doing of good works, and others as well. Redemption is one thing, salvation is quite another. There is nothing lacking on Christ's part; there is much to be done on ours." (20) Also, in a booklet published in 1967, under the sub-heading, "We Must Atone Too", it says that "even though the satisfaction of Christ was complete and universal, nevertheless all adult Christians are obliged to imitate their suffering Master and make personal satisfaction for their sins by good works. (21) But the apostle Paul in his masterpiece on justification by faith says, "Having now been justified by His blood we shall be saved from the wrath of God through Him" (22) (Rom. 5:9). The Council of Trent even pronounced a curse upon anyone who presumed to say that he had assurance of salvation, or the whole punishment for sin is forgiven along with that sin. (23) Such assurance is pronounced a delusion and a result of sinful pride. Time keeps her subjects in constant fear and insecurity. Even at death, after extreme unction has been administered and after thousands of rosary prayers have been said "for the repose of the soul", the priest still cannot give assurance of salvation. The person is never "good enough" but must serve in purgatory prison to be purified of venial sins before he can be admitted to the celestial city. No one can be truly happy or truly at peace. And particularly in spiritual matters, a state of doubt and uncertainty continues for one's whole life, and right into the grave. 3] Which is only allowed once in a person's life - and if a person were to die immediately after baptism, Rome says he will go "straight to heaven." Otherwise, the only other conditions by which a Catholic may be assured he will go directly to heaven immediately upon death, is to die a "saint" ( a completely perfect and sanctified person), or to die a martyr's death. All others must do some time in purgatory. 4] Baptism is also the only case where all sin is washed away, and both the eternal and temporal punishments due to sin are canceled. 5] Absolution - release from punishment; acquittal; remission of sins declared officially by a priest - Webster's Dictionary. 6] Primarily for use by those who are joining the Roman Catholic Church. 7] Instructions for Non-Catholics, p.93. 8] Roman Catholicism, pps. 197-199 (from here on referred to as "R.C."). 9] Unction - one of the seven sacraments also known as "anointing of the sick" or "the last rites," and administered when a person is near death. 10] The Baltimore Catechism, p. 329. 11] The official title for confession to an authorized priest in a confession box. It is called "auricular" because it is spoken secretly, into the ear of the priests. 14] The seven sacraments are: Baptism, Confirmation, Holy Eucharist, Penance, Holy Orders, Matrimony, and Extreme Unction. 15] The Baltimore Catechism, p. 300. 16] Instructions for Non-Catholics, p. 95. 18] Council of Trent, section 6. 19] The Catholic Almanac, pps. 269, 559. 20] "The Apostles Creed" published by the Knights of Columbus, pps. 18-19. 21] "You Shall Rise Again" published by the Knights of Columbus, p. 3. 22] See also: Eph. 2:8-10, Rom. 1:17, 3:21, 22, 28, 5:1, 18-19, 11:6, John 3:36, Gal. 2:21, 3:11. 24] The term used by Vatican II to describe the members of Eastern Orthodox, Anglican, and Protestant churches. 25] Although the following people unhesitatingly did: Martin Luther, John Bunyan, John Huss, John Wycliffe, John Calvin, William Tyndale, John Knox, Thomas Becon, John Wesley, Samuel Cooper, John Cotton, and Jonathan Edwards. As you probably might guess, I do not believe this to be the case. In fact, in my research and studies I have only found the opposite to be true. Yes indeed, the Catholic Church is changing! It has probably never changed so much in all its history as during the past generation, but it has not changed one, single, solitary doctrine! Each and every point of dogma that has alarmed evangelical theologians for the past 400 years remains the same, exactly as written, and in full force! In the early 1960's, the Vatican knew that there was a need to give the Church a face-lift. Many of its policies seemed out of place, and most of its forms of worship were stiff and outdated. There was a feeling among the bishops that the Church needed to evolve with the times, and there was also a growing to re-unite with Rome, that she was going to have to give herself a more pleasant and appealing appearance. There was also criticism from her own ranks that her doctrines needed to be clarified and "re- stated" in a more simple and less dogmatic tone than previous councils had done. And then came the "charismatic renewal" seemingly out of nowhere! With the Pope's blessing, Catholics were taking part in charismatic Masses, speaking in tongues, prophesying, singing and shouting side by side with Evangelical Protestants! Everyone was so excited - they thought, "Now we've got the devil licked! Why, doctrine wasn't important anymore. That was for seminary students and old, stuffy theologians!" But as the excitement started to quiet down a little, the Protestants noticed that a few of their Catholic brothers and sisters were still praying to Mary, and were even offering prayers for their dead relatives in the prayer meetings. "On previous occasions, Rome has changed her tactics when old methods became ineffective, but she has never changed her nature. In any religious organization, doctrine is the most basic and important part of its structure, since what people believe determines what they do. An official document, 'The Constitution on the Church' prepared by the Council and approved by the Pope, reaffirms basic Catholic doctrine precisely as it stood before the Council met. The doctrine of papal infallibility is restated. We are told that when 'by a definitive act he proclaims a doctrine of faith and morals...his definitions, of themselves, and not by the consent of the Church, are justly called, irreformable' (Article 25). 1. Presbyter (or elders) were first called priests by Lucian...2nd century. 2. Prayers for the dead...A.D. 300. 3. The VENERATION of angels and dead saints and the use of images...375. 4. The Mass as a daily celebration was adopted...394. 5. The beginning of the exaltation of Mary, and the first use of the term "Mother of God" by the Council of Ephesus...431. 6. Priests began to dress different from the laity and to wear special clothes...500. 8. The doctrine of purgatory was first established by Gregory the Great...593. 9. Prayers began to be offered to Mary, dead saints, and angels...600. 10. The first man was proclaimed "Pope" (Boniface III)...610. 11. Veneration of the cross, images, and relics authorized...788. 12. Holy water, mixed with a pinch of salt and blessed by a priest was authorized in...850. 13. Veneration of Saint Joseph...890. 14. College of cardinals begun...927. 15. Canonization of dead saints, first by Pope John XV...995. 16. The Mass developed gradually as a sacrifice, attendance was made obligatory in...11th century. 17. The celibacy of the priesthood was decreed by Pope Hildebrand, Boniface VII...1079. 18. The rosary, or prayer beads (copied from Hindus and Mohammadans) was introduced by Peter the Hermit...1090. 19. The Inquisition (2) of "Heretics" was instituted by the Council of Verona...1184, and was legalized and promoted by the Fourth Lateran Council in 1215. 20. The sale of Indulgences...1190. 21. The seven sacraments defined by Peter Lombard...12th century. 22. The dogma of transubstantiation was decreed by Pope Innocent III...1215. 23. Confession of sins to the priest at least once a year was instituted by Pope Innocent III in the Lateran Council...1215. 24. The adoration of the wafer (host) decreed by Pope Honorius III...1220. 25. The scapular invented by Simon Stock of England...1251. 26. The doctrine of purgatory proclaimed a dogma by the Council of Florence...1439. 27. Tradition is declared of equal authority with the Bible by the Council Trent...1546. 28. The Apocryphal Books were added to the Bible by the Council of Trent...1545. 29. The Immaculate Conception of Mary was proclaimed by Pope Pius IX in 1854. 30. Pope Pius IX condemns all scientific discoveries not approved by the Roman Church...1864. 31. Infallibility of the pope in matters of faith and morals proclaimed by the First Vatican Council...1870. 32. Pius XI condemned the public schools...1930. 33. Pius XI reaffirmed the doctrine that Mary is "The Mother of God"...1931. 34. The dogma of the Assumption of the Virgin Mary was proclaimed by Pope Pius XII...1950. 35. Mary proclaimed the Mother of the Church by Pope Paul VI...1965. 1) The Roman Catholic Church teaches that Jesus Christ ordained the 12 apostles to the priesthood at the Last Supper, and to their successors, the Roman priesthood, Jesus promised and guaranteed His continual presence in their teaching and governing until the end of time. 2) Inquisition - the act of inquiring into a matter; an investigation - American Heritage Dictionary. Lucius III decreed that bishops should take action against heretics. A characteristic of this decree was that a suspect, once convicted of being a heretic, was to be handed over to the secular arm for punishment. Before the Inquisition ran its course, historians estimate that 5 to 15 million people lost their lives through torture and execution (From: A History of Christianity in the World by Clyde L. Manschreck). 3) The doctrine that Christ has given Peter the key role of lawful authority... that Peter would be His chief ambassador, His authentic vicar (pope) and this power continues to be extended to Peter's successors through the ages - the popes. 4) The term used by Vatican II to describe the members of other non- Catholic Christian faiths. CIA Assassin Admits: "We Killed Keith Green!" I looked at her and said, "You KNOW that Jesus Christ died on the cross to forgive ALL sins... of course He can forgive you!" I then embraced her as she continued to cry. It is said that "the blood of the martyrs is the seed of the Church," in many countries where Christians are persecuted and martyred. 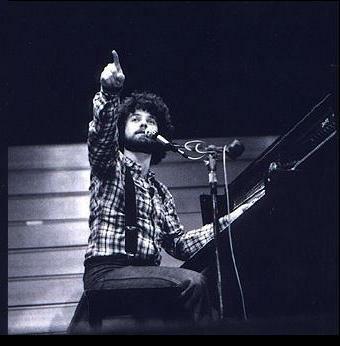 And Keith Green is no different. God took what Satan meant for evil and turned it into good instead. 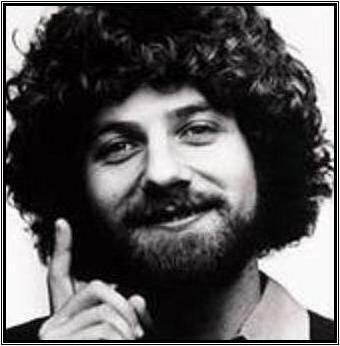 Whereas many Christian singers of the 1970's are now long forgotten, Keith Green and his Christian witness and songs continue to this very day! When I went to Israel to a Christian hostel, I met a young man working there who admitted he had gotten away from the Lord, BUT LISTENING TO A CD OF KEITH GREEN'S SONGS HELPED TO BRING HIM BACK TO THE LORD! These Satanists can kill the messenger, but they cannot kill THE MESSAGE! And the message that Keith Green gave to the world is JESUS CHRIST IS LORD! And God is using his songs to this very day to glorify His holy name and to bring people to Jesus Christ. Pam Schuffert, from SATANISM IN AMERICA TODAY.